The planting bed to the left of our front door had been problematic from the start because the soil was super dense clay with poor drainage. 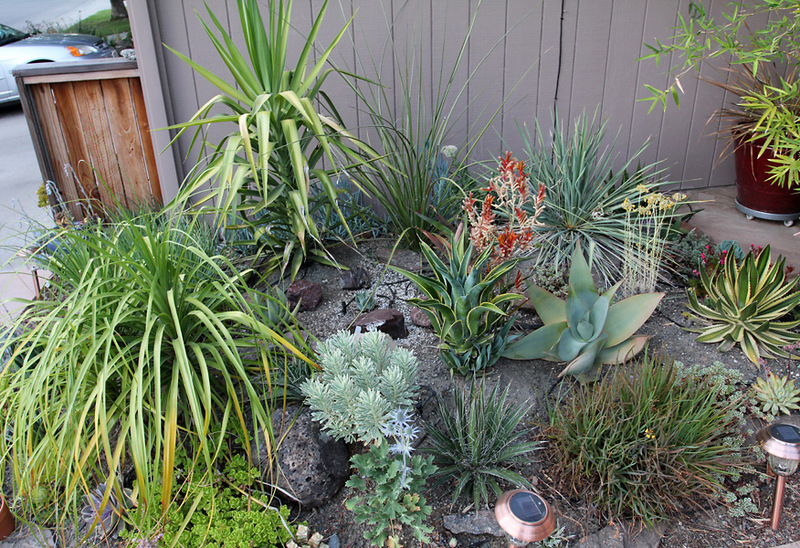 After the remodel, we planted perennials and for a while it looked quite decent. 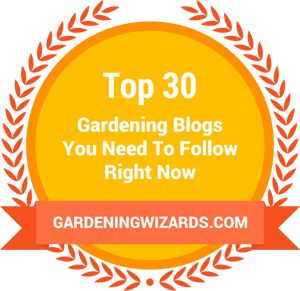 However, after the first year some of the perennials died outright, others began to look sickly. After exploring some alternatives, we decided to remove the existing plants and turn the bed into a succulent area since it gets so much sun during the day. We started on this new project in January of 2009 and created a mound of topsoil mixed with sharp sand and gravel. Heather then contoured it to give it a more naturalistic look. 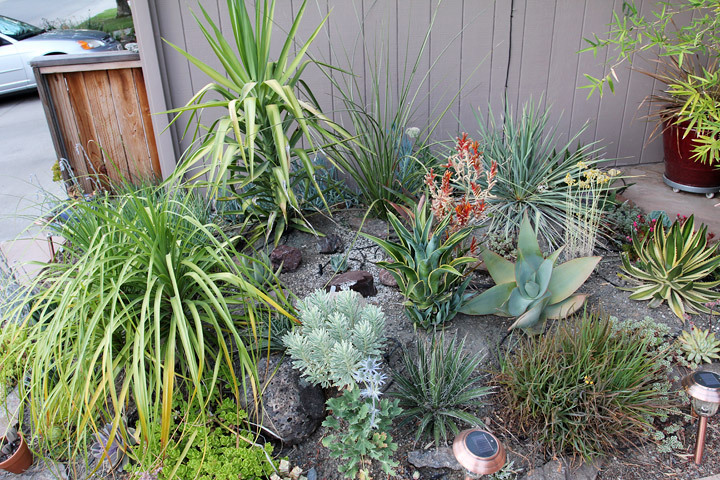 I planted the area with a variety of agaves, aloes, yuccas and smaller succulents—and even ponytail palm (Beaucarnea recurvata) which isn't a palm at all but rather a small xerophytic tree native to Mexico (seen on the bottom left in the photo below). 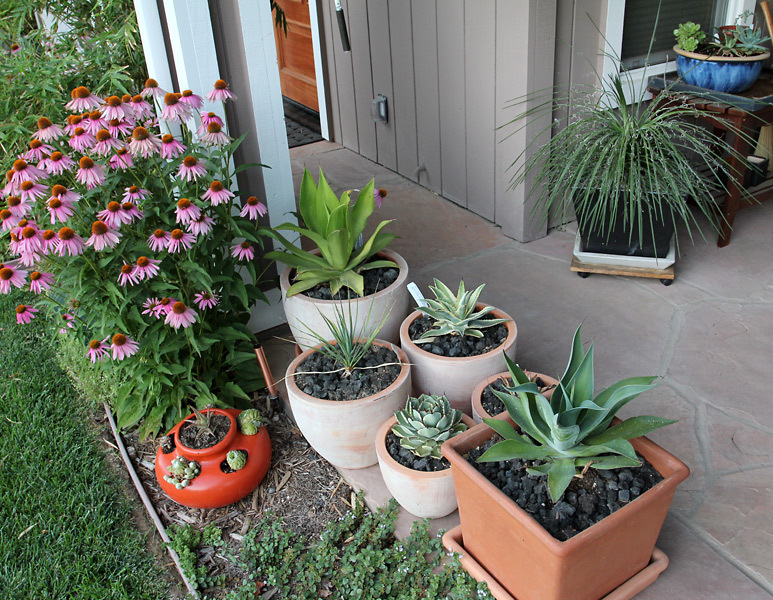 We loved this transformation so much that we converted the planting strip between our driveway and our neighbor's into a succulent bed as well. 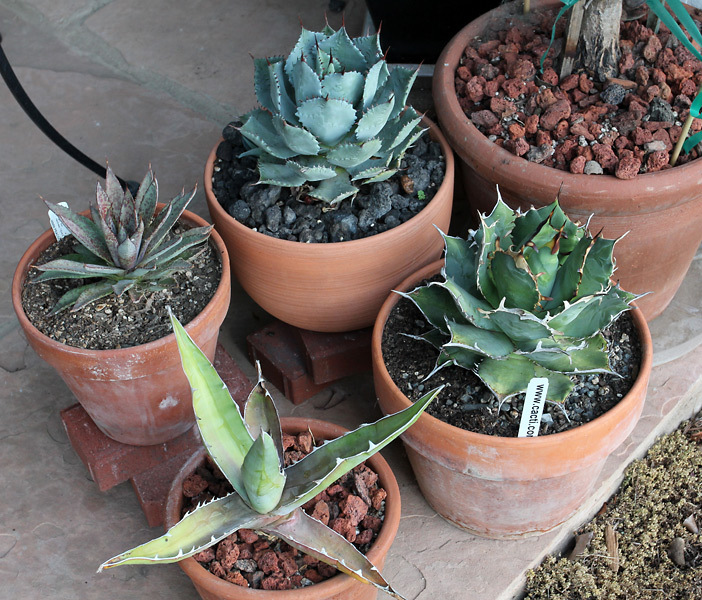 Other succulents, mostly agaves, have found their way into pots jostling for space on our front patio.